Shannon Rentsch has begun his title defence on a high, finishing the first day of the Cobb & Co St George 399 on top after comfortably taking out both prologue and the first section. 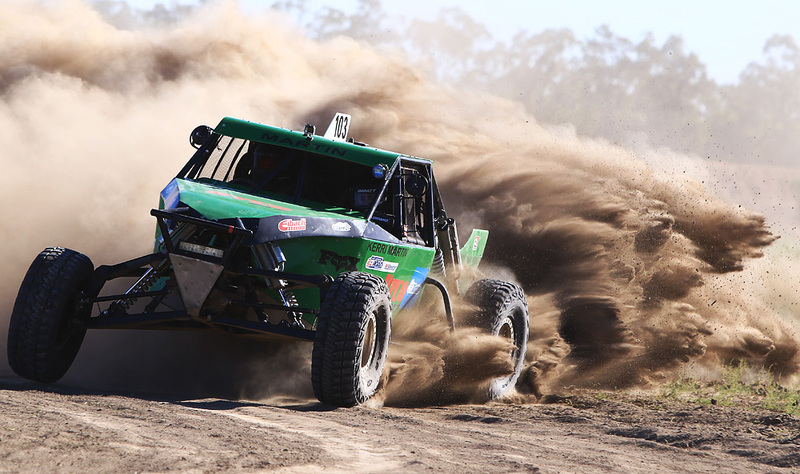 The nine-time BFGoodrich CAMS Australian Off Road champion was in incredible form as he finished seven seconds ahead of young gun Josh Howells in prologue. Compared to last year, it was a significantly different top five as Beau Robinson and Greg Gartner enjoyed their debuts in the Queensland course by slotting into third and fourth respectively, while Glen Towers finished prologue in the top five. Just over two tenths of second separated Mark Burrows and the highest placed Pro-Lite driver in Jason Richards for sixth position – Michael Spokes finished prologue in seventh ahead of last year’s runner-up Toby Whateley and 2018 Pro-Lite champion Alan Dixon. Once the racing got underway, Rentsch continued his dominant form and looked to build on his lead, before a brilliant performance from Robinson in the first half the section saw him fight his way into the top spot. However, his well-deserved lead was short-lived when the Extreme 2WD driver sustained engine issues, forcing him out of the race and handing the lead back to Rentsch, who was faultless for the remainder of the day. ”I had a really good run, being first on the road is an advantage but having said that we don’t who ifs behind you or where you are,” Rentsch said. “We had a clean run and hopefully we can keep it going for the rest of the weekend. Not long before Robinson retired from the race, an unfortunate rollover from Howells saw him crash out of the section, but thankfully he walked away unharmed. Both Howells and Robinson’s exit opened up the door for Gartner to move into second place, while an incredible run from Whateley saw him climb six positions and into third outright. 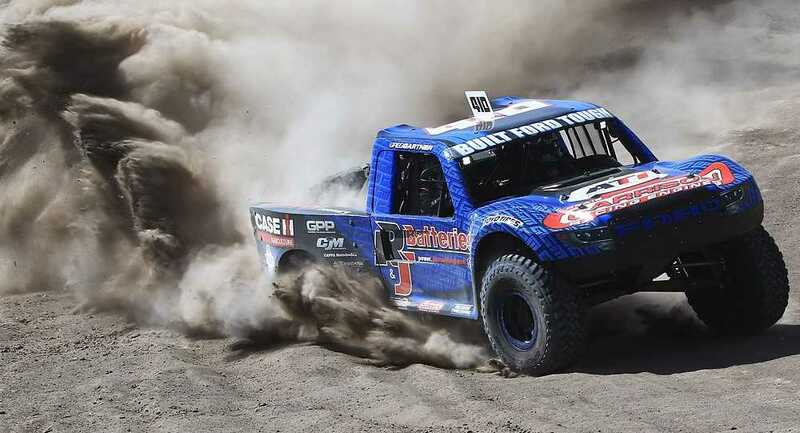 The 2018 runner-up wasn’t the only driver to pull off a remarkable comeback in the first section, with Michael Napier working his way from 16th to fifth outright, in what was possibly the performance of the day. Rounding out the top 10 for the first day of action were Glen Towers, Mark Burrows, Steven Graham, Matthew Martin and Luke Ayers. In other class battles, Graham leads the Sports Lite class, 13th placed Christian Trusz heads the Extreme 4WD class, Hans Werner Zettl goes into the final day as Super 1650 leader and Andrew Barber is topping the Performance 2WD. The Cobb & Co Hotel St George 399 continues tomorrow morning from 7.30am local time with competitors to complete four laps for the day.